Great to work with these amazing musicians. My album Roomful of Dreamers is now available on iTunes, Spotify etc. 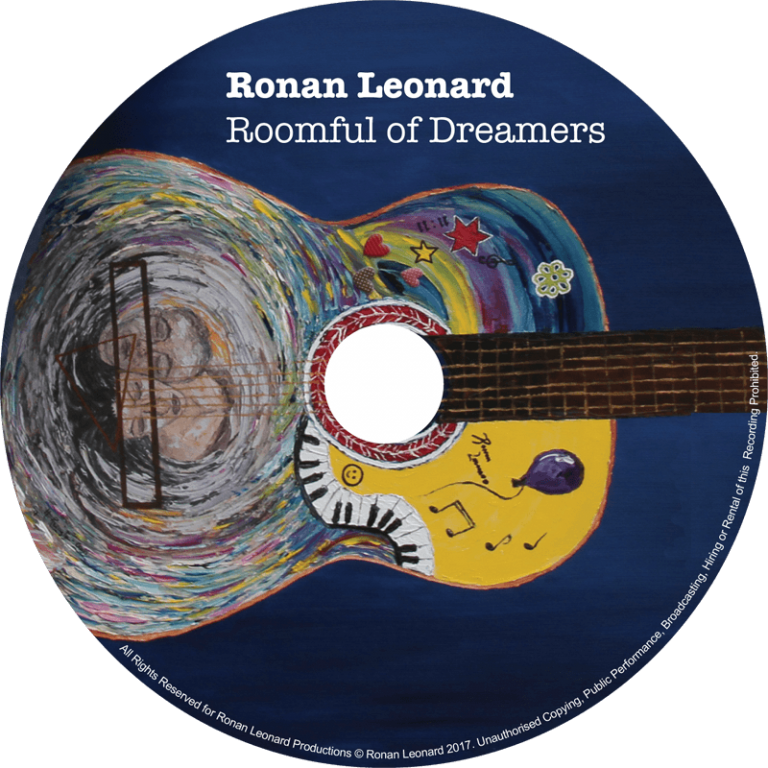 Roomful of Dreamers is enjoying airplay on local and national Radio. From listening to radio Caroline on my little red Solid State radio under my pillow and playing air guitar in the mirror to pressing G9 on the juke box in Gaffney’s snack bar which unleashed ‘Miss You’ by the Rolling Stones to later listening to DJ’s like John Creedon and PJ Curtis, driving to gigs while listening to Bob Harris on the road in Germany, to that anticipation of bringing home a new album, listening to it and being moved, wondering, could I ever possibly produce something like that. Well, I have been blessed to have people like Martin Praetorius, PJ Curtis and Garvan Gallagher who have helped me produce recordings that have been a joy to do and stand up there with the rest. A quote from PJ Curtis whilst we were recording ‘Roomfull of Dreamers’. My latest single “Take That chance” is out now and can be downloaded on CD Baby, iTunes and Spotify. The single itself has a bonus track, ‘We sing the same song’. electric slide guitar from Ed Dean, bass and keyboard from Garvan Gallagher and drums from Sean Devitt.